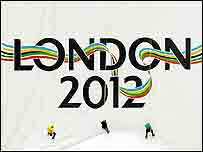 London has been nominated by the British Olympic Association to host the Olympic Games in 2012. The bid has been accepted by the IOC into a shortlist of cities, along with Paris, Madrid, New York, Rio de Janeiro, Havana and Leipzig. The vote to decide which city wins the bid will take place by IOC members in July 2005. This section will outline some of the reasons for and against London hosting the Olympic Games in 2012. • It is the most extensive transformation in London for more than a century. • London has the world's busiest international airport and one of the world's most extensive rail and underground systems. • Every day 20 million passengers travel on London's transport system. • Capacity of the Jubilee Line serving the main Olympic venues will be increased by 45%. • The high-speed Channel Tunnel Rail Link will cut journey times from Stratford to central London to seven minutes.